To continue the good fight against Macron's regime of poverty and inflation. In the late 1780s, French workers, starving men and women alike, rioted for bread. Today, they riot for gasoline. 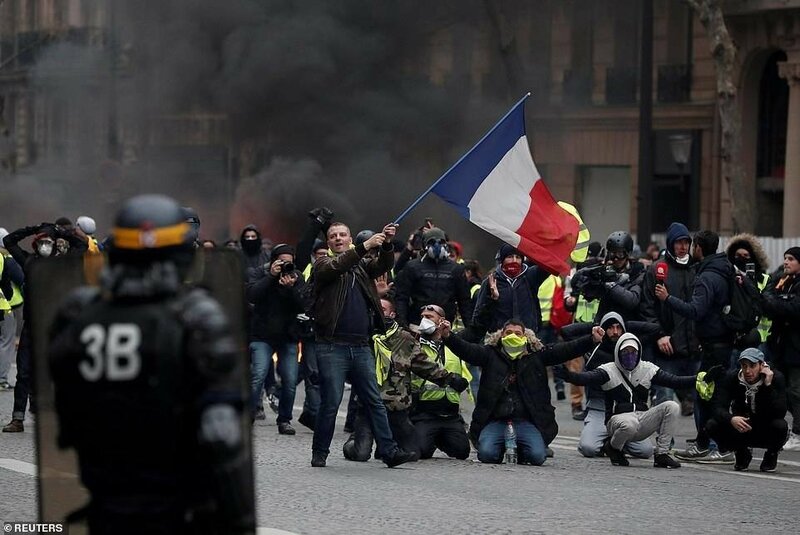 As President Macron fumes over the current tax situation while overlooking burning cars and empty tear gas canisters, the rebellion looks nothing short of the French Revolution, which transformed the social hierarchy seemingly for good. Yet, history repeats itself, the struggle of the working class, and Paris descends into chaos once more, with the Yellow Vest Rebels leading the way. The events appear in ideal parallels, exemplifying a desire for fair wages and tax cuts. During the reign of Louis XVI, the elite lived lavishly, indulging on meat feasts, sleeping in the gold-plated walls of Versailles and relaxing in majestic fountain gardens. On the other hand, the bourgeoisie worked for long hours in factories with meager wages, only to be deprived of food and shelter due to inflation and sky-rocketing rents. With Macron, Parisians are facing the same struggles. Taxes on gasoline make up more than half the cost: prices around $6.00 per gallon. With the median income for France near $1,930 a month, rent, food, utilities, clothing and fuel, are struggles to cover. In response, resisting factions develop. The Yellow Vests, petitioning against the hike in prices through modest protest or violent uprising, represent the Reign of Terror lead by Robespierre, which embodied the most radical spheres during the revolution. Furthermore, the symbolism advocated for the passion of the people — the tricolor flags and culottes of rebels are replaced by fluorescent vests and banners screaming anti-government slurs. As of now, Macron's response is disappointing to many: there will be no modification of the planned tax increases. The current crisis of workers versus government is a lesson often reflected in history. It indicates some of the greatest disparities represented in society today. As France boosts world-renowned luxury brands such as Louis Vuitton, Channel and Dior, materialism flourishes in the high-class society of Paris, drawing attention away from the poverty and inflation that are reality. Therefore, problems such as high taxes go unnoticed until a drastic uprising such as the Yellow Vest Movement takes control. The moral is clear: history is always a class struggle. Without a content middle class, prosperity halts, strikes take down the economy and anarchy ensues. Although such uprisings fracture the unity of France, they are also catalysts for greater change. Through struggle, patriotism, nationalism and democratic fervor, the Yellow Vest Rebels united, reaching a global audience never imagined. 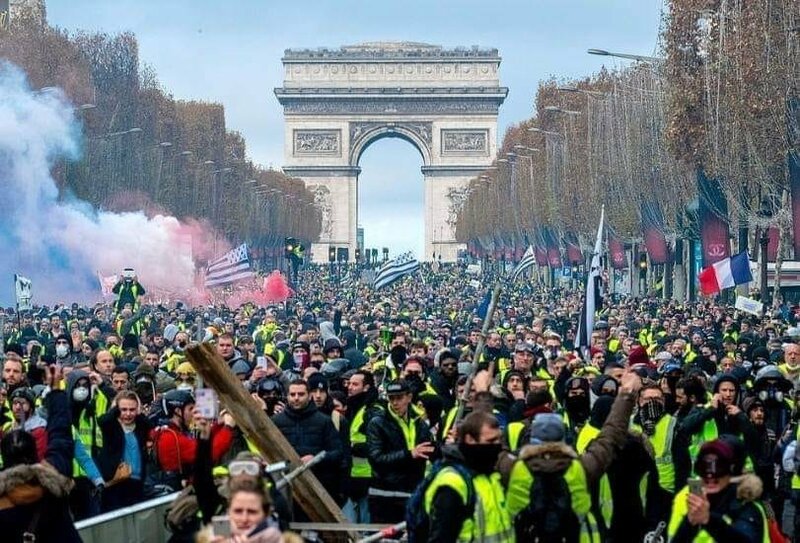 Like during the French Revolution, this movement will have rippling influence for others to speak out and take charge against corrupt government policies. Ultimately, only the value of voice can change Macron's policies for good. Poetry On Odyssey: Why Humidity, Why? Humidity why do you exist? And you always keep my busy. And you don't forget to make my face oily. And make them shout at others loudly. And even the fan does not cool one inside. You make me be feel hotter. I look worse than an otter.